looks like Evan Blass is back into form after a break and now, @evleaks comes up with a major leak. Another Samsung product- Galaxy Note 5 specs and images have been leaked by @evleaks. Galaxy S6 Edge Plus and Galaxy Note 5 leaks have been common since a while the buzz has started to settle. Evan Blass did it again and now, the device specs are out. 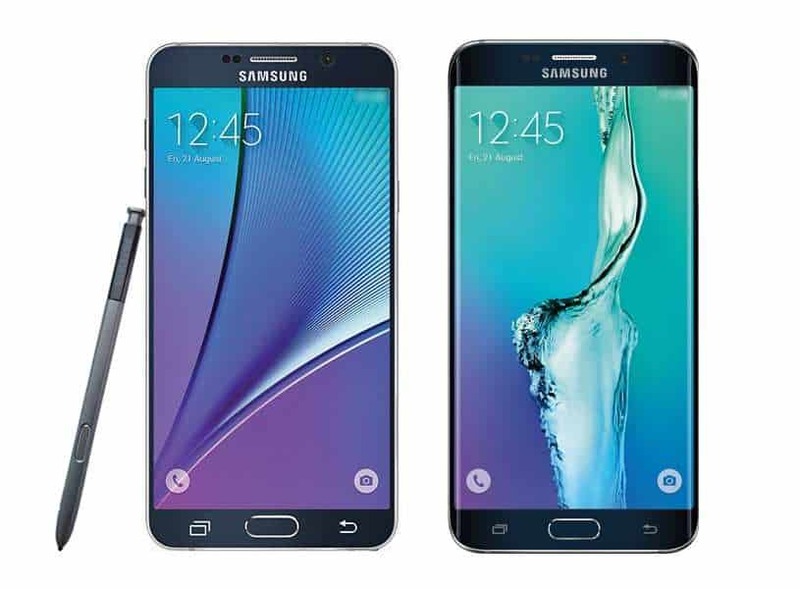 What @evleaks seems to be the press renders showing off the Galaxy Note 5, which of course sports S-pen and the Galaxy S6 Edge Plus. However, the images don’t reveal much but we can see that the capacitive keys on the Galaxy Note 5 seems to be a little oversized. The tweet from @evleaks which went live a little while ago revealed a coupled of stuffs about the Galaxy Note 5. The Galaxy Note 5 (SM-N920) is powered by Samsung’s very own an Exynos 7420 SoC coupled with 4GB of RAM. There is 32GB of storage on board, a 5.66-inch 2560×1440 display. The Galaxy Note 5 sports a whooping a 16MP rear camera which may feature ISOCELL sensor that Samsung unveiled earlier this week, and also a 5MP front camera. The device will run Android 5.1.1 out of the box, but sorry Sammy fans you won’t get a microSD card slot on the Galaxy Note 5.